Princess Charlotte's first day at nursery school has been marked by the release of two pictures taken by her proud mother, the Duchess of Cambridge. 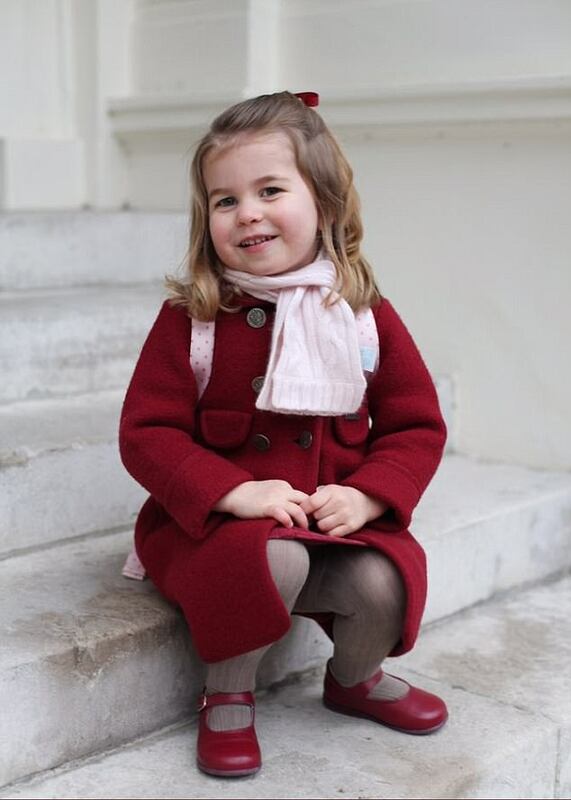 Charlotte is pictured sitting down on some outside steps in the grounds of the famous palace, while another photograph shows the little girl standing as she holds onto a rail. 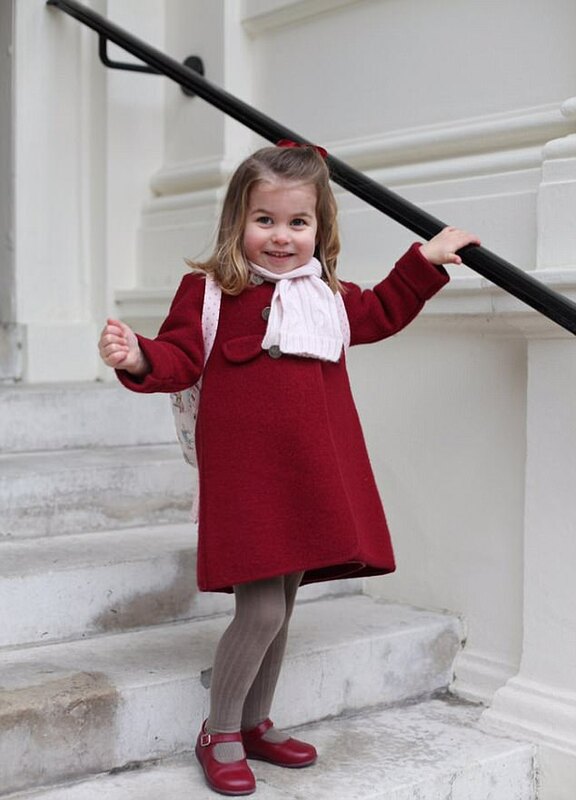 The young princess is wearing a red coat, £120, by Amaia Kids teamed with a pink scarf, and a Cath Kidston pony rucksack, demonstrating perhaps that she already shares her great-grandmother the Queen's love of horses. 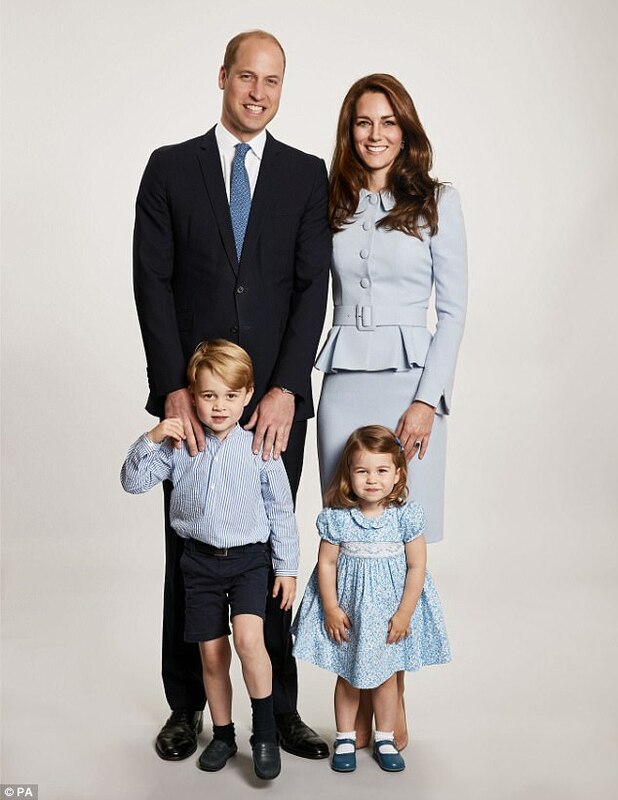 Kate, who celebrates her 36th birthday on Tuesday, is a keen and accomplished amateur photographer who last year accepted a lifetime honorary membership of the Royal Photographic Society which recognised her "talent and enthusiasm". The Duchess bucked tradition when she took the first official photographs of her newborn daughter in 2015. 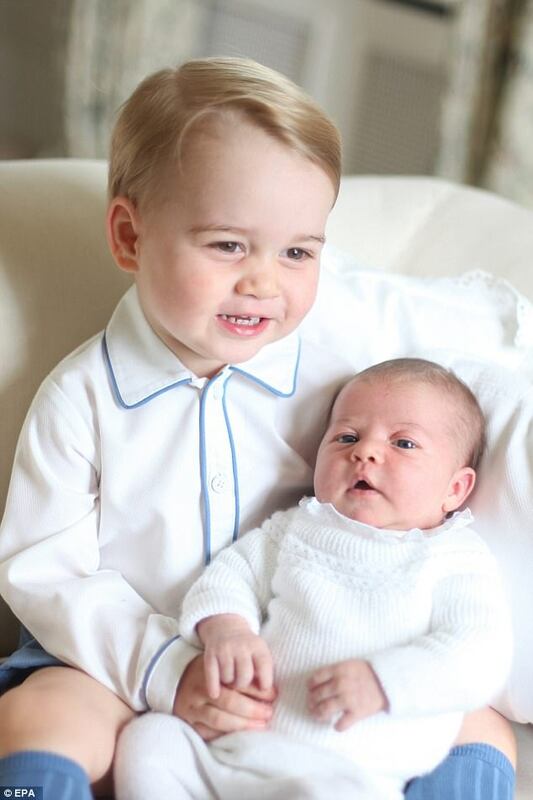 The photos of Charlotte showed the young princess being cradled by her older brother Prince George at William and Kate's Norfolk home, Anmer Hall. The 35-year-old, a history of art graduate, has also released pictures to mark other milestones in her children's lives, including George's first day at nursery school and Charlotte's first birthday. 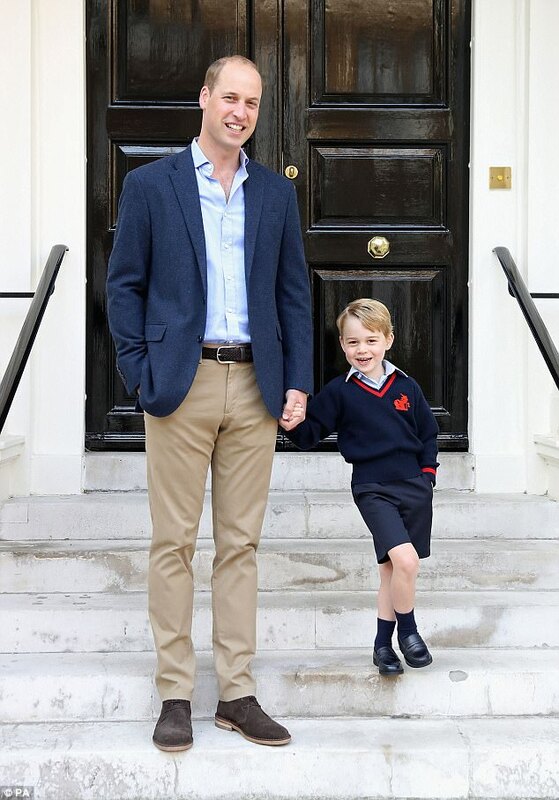 And today was no doubt an important milestone for the pregnant Duchess, who missed accompanying Prince George on his first day of school at Thomas's Battersea due as she was battling severe morning sickness at the time. Charlotte looked much more grown up in the new images released today, appearing to have grown taller, and with longer hair and a more confident smile, than when she was seen back in July during the family's official visit to Poland and Germany. Although she was briefly spotted in the back of the car as her parents drove to the Queen's Christmas lunch at Buckingham Palace in December, she has not been seen publicly in an official capacity for six months. 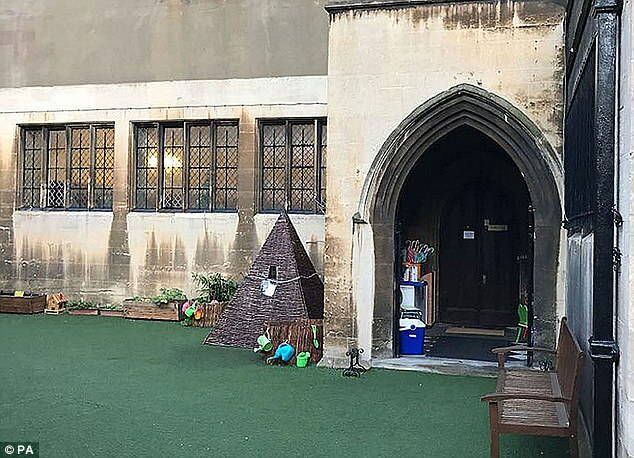 At her nursery school, the little Princess will enjoy pottery and poetry classes at the sought-after nursery, which is rated 'outstanding' by Ofsted and located next to the Royal Albert Hall. Before starting officially, she would have been invited with her parents for a short 'stay and play'. 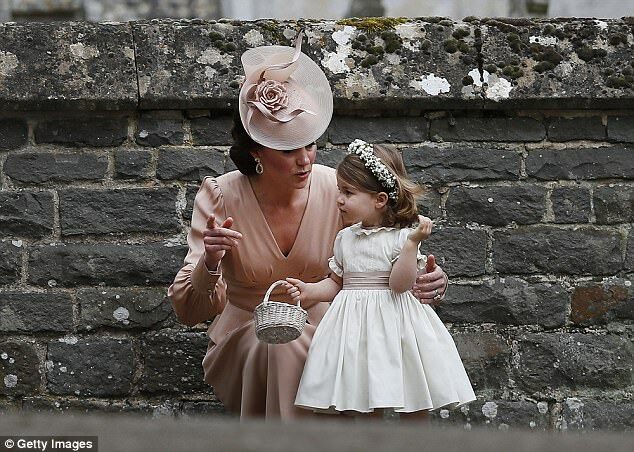 Kate and William would then have been asked to leave to see if Charlotte was happy to be left alone. The school recommends in its guidance to parents that pupils bring a toy or photo from home, and take a picture of their teacher back to their house. Fees are £9,150 a year for morning sessions and £5,400 for afternoons. Palace sources said Charlotte would attend the school 'full time' but declined to elaborate on whether that was for either morning or afternoon sessions - or both. It holds what it calls morning school for 32 youngsters, aged almost three to five years old, who are in class five days a week for three hours. On its website, Willcocks says pupils experience 'a fun and structured morning with lots of free play where children embark on the first stages of learning to read, write and to understand simple numbers with the minimum of pressure'. Charlotte may be enrolled in the afternoon school, which is less structured than the morning session but provides a similar wide range of activities including art and music. 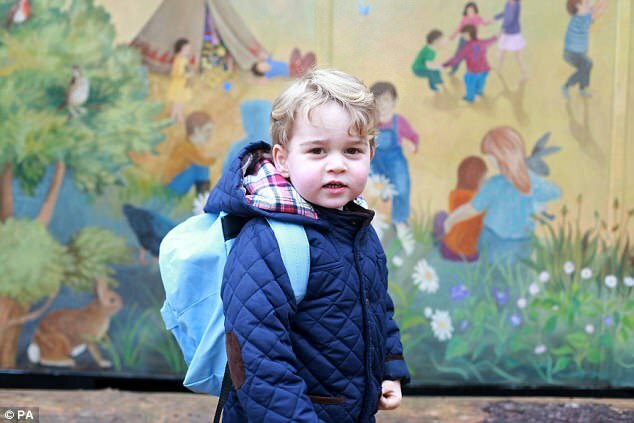 Her older brother Prince George attended the Westacre Montessori School in Norfolk, starting in January 2016, as it was close to Anmer Hall where the family was then based.